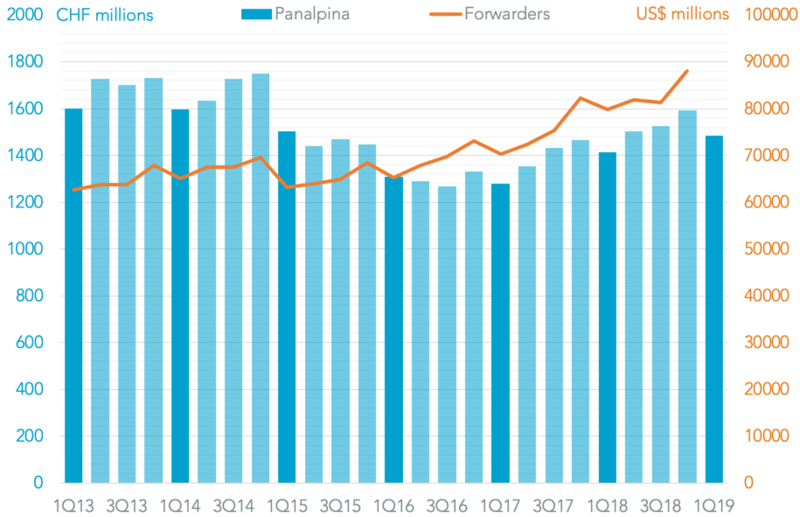 Global trade slipped for a second month in January with a 0.1% decline versus a year earlier compared to a 1.8% drop in December. 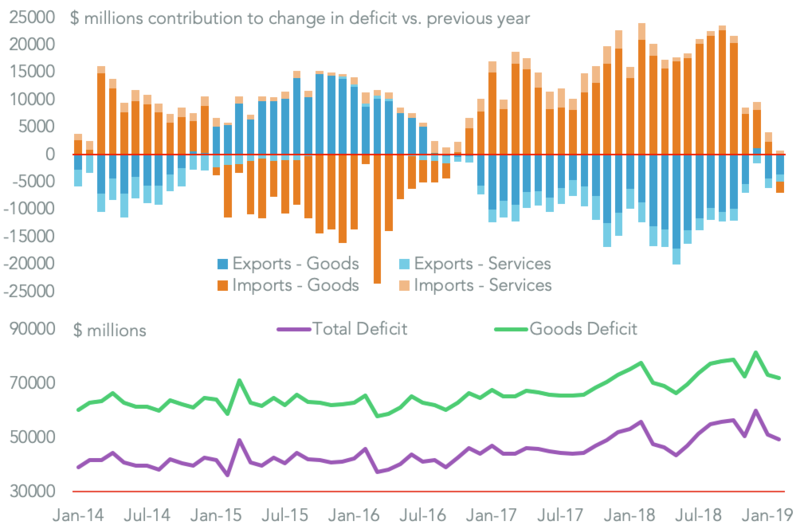 A worse decline was averted because of the earlier lunar new year, though a 4.1% slide in emerging Asian exports shows a wider slowdown in activity. 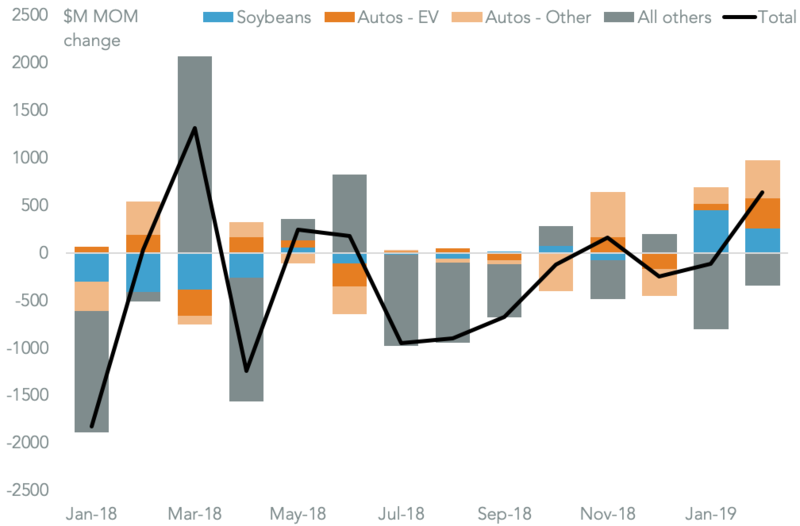 February has likely seen more of the same, with government data indicating a 4.7% slide in Chinese exports in January and February combined echoed. 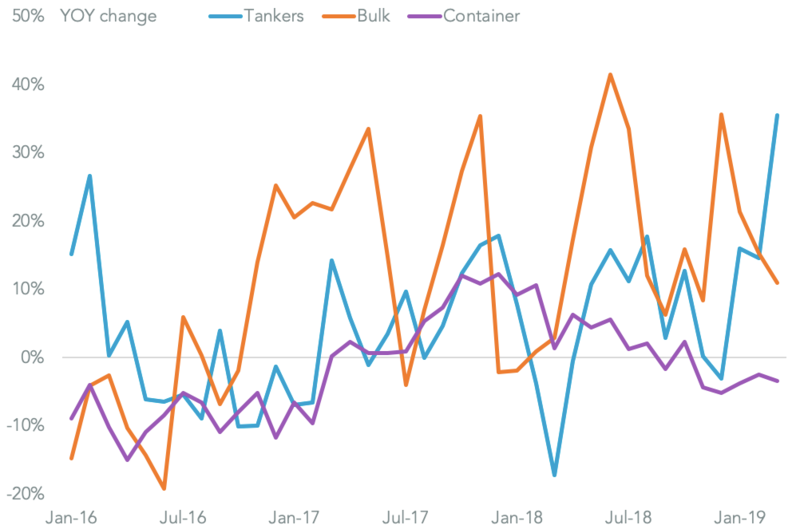 U.S. exports have also likely to have slowed with data from eight seaports showing a 10.2% year over year decline in outbound containerized freight activity.